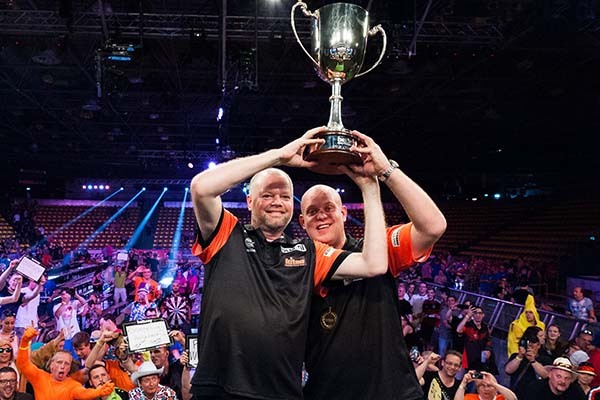 THE Netherlands won the Betway World Cup of Darts for a record-equalling fourth time as Michael van Gerwen and Raymond van Barneveld defeated Scotland’s Gary Anderson and Peter Wright 3-1 in Sunday’s final in Frankfurt. Their title bid continued with a 2-0 quarter-final win over hosts Germany, before defeating Belgium 2-0 in the last four and then overcoming Scotland in the first ever final between the two nations. 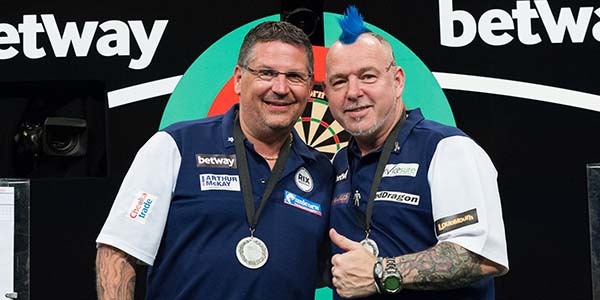 “I think we played a phenomenal game through the whole tournament,” said Van Gerwen. Van Gerwen got the Netherlands off to a flying start in the opening game of the final, hitting finishes of 143 and 112 in his 4-2 win over Peter Wright to give the Dutchmen an early advantage. Anderson wasted no time in levelling the tie, firing in five maximums en route to an emphatic 4-1 defeat of Van Barneveld to make it all-square going into the doubles. The Dutch duo blew the Scots away 4-1 in the Doubles with another impressive display, featuring a magnificent 135 checkout from Van Barneveld, to put the Netherlands within a point of glory. 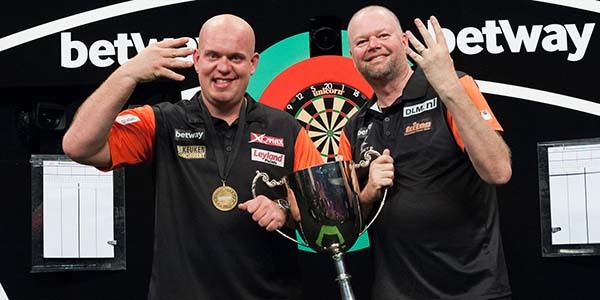 Van Gerwen sealed the title for the Netherlands with a 4-0 whitewash of Anderson, with the world number one posting a 111.33 average to retain the World Cup. Format: The Second Round will be played as two best of seven leg 501 Singles matches, with both nations nominating the order in which their players play. In the event of both nations winning one Singles match apiece, a best of seven leg 501 Doubles match will be played to decide the tie.